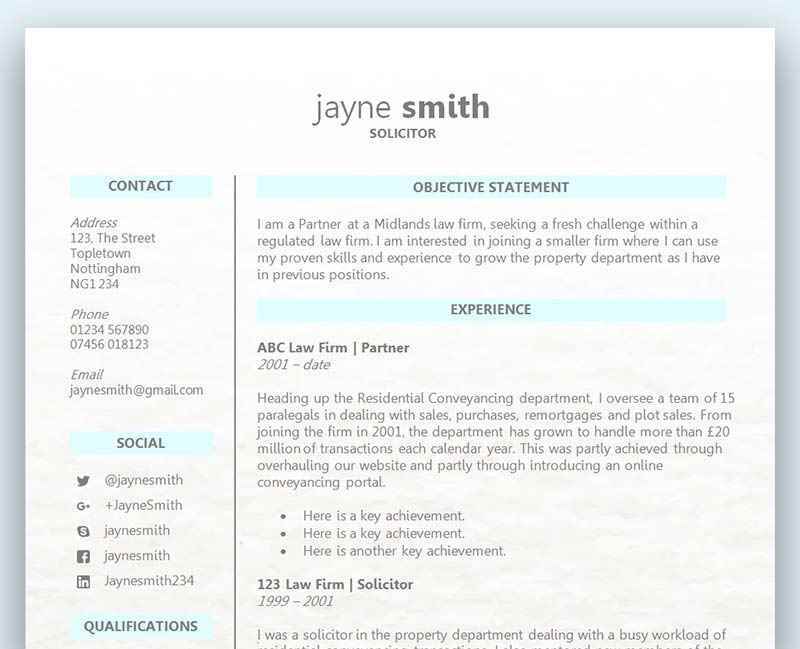 Check out the super neat design of our brand new 'Header' CV template - it's so classic and stylish! This fabulous CV template uses the Garamond font and soft brown add a little colour and interest to the layout. All your details are contained in the Header of the document which repeats onto any second and subsequent pages (remember: for most positions it's best to keep your CV two pages in length maximum). We've used sweet bullets as well to help arrange your information in the Work, Education and Interests section - and we've aligned your dates and skill levels to the left so your CV is less cluttered and easy for prospective employers to skim over. We've also included a smart page number in the bottom right hand corner which again uses the delightful Garamond font with the brown colour choice. Header CV template in MS Word - free to download	Overall rating:	4	out of 5 based on 2	reviews. With our favourite Garamond font and plenty of really neat styling details, our Header CV template is a great choice for a whole range of roles. Like most of our CV templates, it's super easy to copy and paste extra sections if you need them - so you can add professional memberships, training and any other sections that are specific to you. We've chosen brown for this lovely template - if you've not got a colour printer, it should print fine as grey. Alternatively if you do have a colour printer but you're not a big fan of the brown, why not change the colour scheme to blue, green, grey, black or any colour you like? The headings are easy to change. To change the line at the top, first double click in the header. Then right click over the line and click 'Format Shape'. Then choose 'Line Colour' and select your desired colour from the drop-down. For most jobs, try and keep your CV to two pages at the most, if possible. More pages may be expected for very senior positions or positions where you might want to include a list of your published works. Don’t like the font? No problem – in Microsoft Word, make sure you’re on the Home tab, click ‘Select’ > ‘Select All’ and simply change the font from the drop down at the top. However, you’ll notice that this doesn’t change the Header or Footer. To change the font in the header and footer, make sure you’re on the home tab, double click within the header / footer, then click ‘Select’ > ‘Select All’ and pick your choice of font from the drop down at the top. Not every font is a good choice for your CV – see our article on choosing the ideal font for your CV here. Don’t fib – whilst everyone will try to present themselves in the best light on their CV, downright lies or significant exhageration is a huge no-no. I’ve read loads of CVs where people are definitely over egging themselves when it comes to qualifications and experience. First, those in charge of recruitment will have seen thousands of CVs and conducted hundreds of interviews before yours arrived on their desk. So they’ll be pretty good at spotting obvious lies. Second, even if your lie goes under the radar, there’s a good chance you’ll be found out later – either during the interview (when you trip up), as a result of references, or while you’re doing your job. Make sure your contact information is present on your CV (yes, it’s true – people genuinely do send out CVs minus their contact details) clear and up-to-date – if you’ve not sent out CVs for a while, ensure your mobile number and email address are the ones you actually use. Ensure that any email address you give looks professional – i.e. jamessmith@gmail.com is fine, but jimlovesfootball@gmail.com is not. Check the spelling and grammar – check it again – then get a couple of others to check it. Our team have worked as recruiters before and we have all ditched CVs that have spelling errors in. If you can’t be bothered to check your CV for a few errors, why should we believe that you’ll pay attention to detail when it comes to doing your job? Take the time to get it 100% right. We hope you love using our Header CV template and we would love to hear from you with your success stories!